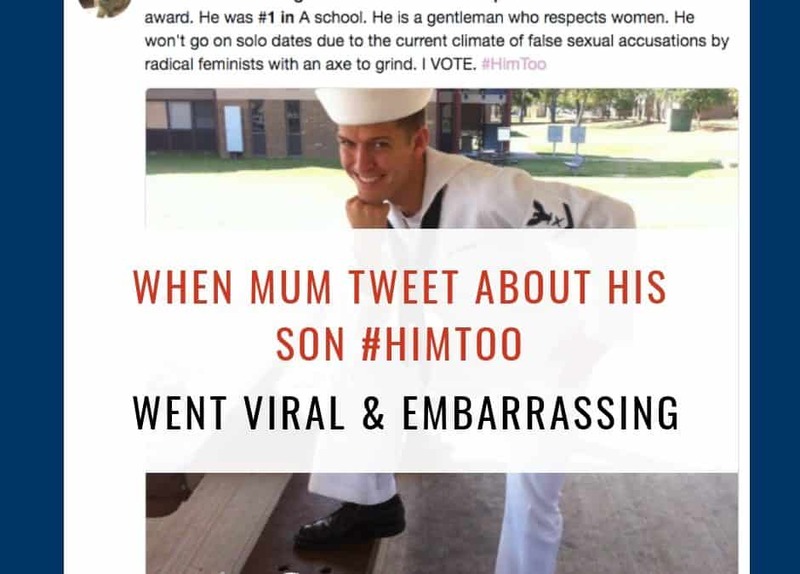 Pieter Hanson discovered that he is a meme thanks to a tweet shared by his mum about him, he was shocked and angry. The tweet was not an accurate description of Hanson. #himtoo became popular during the hearings of Supreme Court Justice Brett Kavanaugh. Many people have used this hashtag to support men that have been falsely accused of sexual assault. Hanson told the Washington Post that he disagrees with #himtoo and he is not afraid to meet women alone. Twitter went crazy with his mum’s tweet and turned it into funny memes. 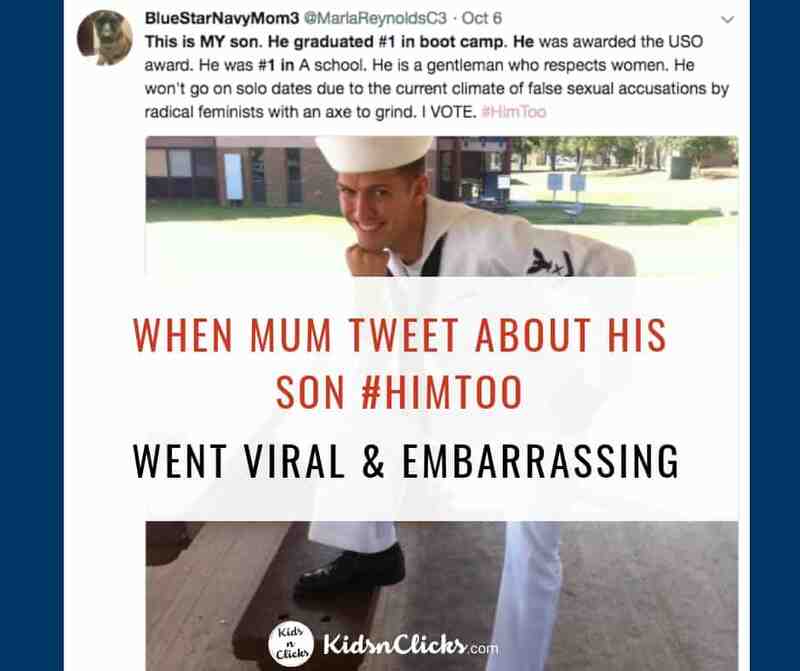 Hanson has asked his mum to remove the tweet. She agreed and also deleted her twitter account. “That was my Mom. Sometimes the people we love do things that hurt us without realizing it. Let’s turn this around. I respect and #BelieveWomen. 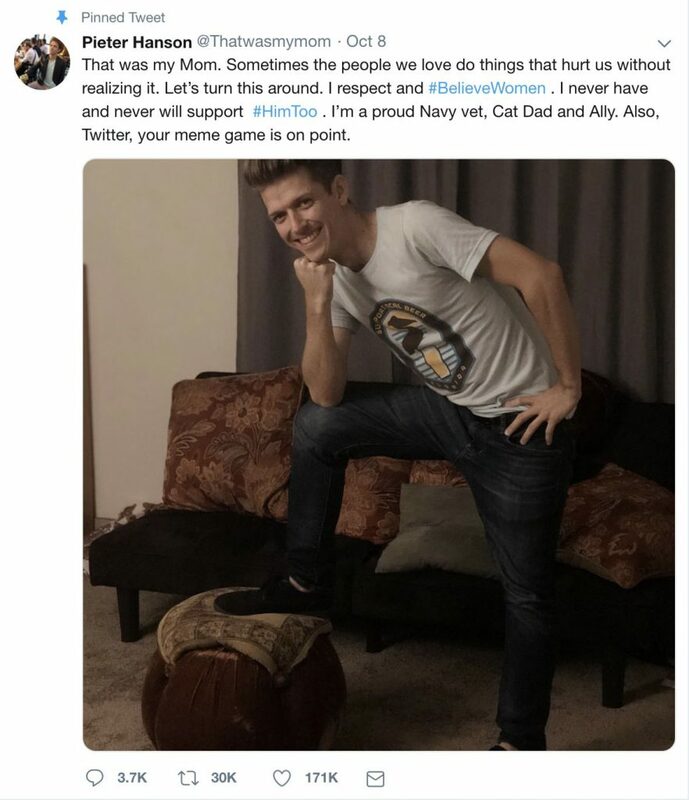 I never have and never will support #HimToo. I’m a proud Navy vet, Cat Dad and Ally. Also, Twitter, your meme game is on point,” Hanson posted. It is not about informing your child that you intend to share their picture but ask for their consent.This will help children understand the concept of respecting other people’s privacy in the digital world. We need to teach kids not to share pictures of their friends without their consent. By talking to your child about consent and asking for theirs parents are setting positive example. This is a good reminder to parents that whatever you share about your children can spread widely and potentially embarrass your kids. If you have accidentally shared something you think your children might be embarrassed about then genuinely apologies to them and delete the post. Do not be defensive the issue. For Hanson and his mom, it is all good. “I forgive my mother. Her and I caught up a couple hours ago. She didn’t intend it that way and was mortified I’d disown her. Which is silly! She’s mom!” Hanson told NBC News in a statement.